As part of the Mills & Boon #RomanceIncludesYou we have a chat with Sareeta Domingo, editor at the Harlequin imprint, to find out more about the romance genre, Mills & Boon’s history and future, and an exciting new opportunity. Mills & Boon was founded in 1908. Obviously tastes and trends have changed in that time, but what facets remain the same? What remains the same is the joy and pleasure of reading about romantic love, which is our stock in trade, of course! Romance fiction gives the reader the opportunity to have that experience of falling in love over and over again. It’s a feeling that we crave in life, so with fiction, the opportunity to have those feelings vicariously through the characters is hugely appealing. What’s especially unique about Mills & Boon is the range of different series. It allows us to cater to different readers’ preferences as to the type of romantic experience they’d like to live vicariously through! That’s what has made the company so beloved and so enduring. Why does genre fiction and romantic fiction have a bit of a negative reputation in literary circles? And why shouldn’t it? To be honest, there could be an element of misogyny involved in the negativity that romance fiction experiences within literary circles. Romantic fiction centres a female experience in a manner that perhaps other forms of fiction do not – albeit often a cis, heterosexual female experience. (It’s worth mentioning that we have other imprints within the wider Harlequin brand, of which Mills & Boon is a part, that explore broader areas of sexuality). But in terms of the general snobbery around romance fiction, the focus on female experiences and emotions may be part of the reason why it is dismissed as frivolous. But of course, this is the very reason why it shouldn’t be – women’s experiences and emotional lives are valid, important, and should be explored. Romance fiction allows both readers and writers of fiction to do this in a safe, creative environment. And romantic love is a bedrock of human existence! Who doesn’t love love!? What is the #RomanceIncludesYou initiative, and what are you looking for? Mills & Boon is the home of romantic fiction, and as such, our aim with this initiative is to reach out to authors from communities that may feel they are underrepresented when they browse the romance fiction shelves and online stores. Representation is very key – in fiction and the arts especially – and we want to make it clear to these writers that we would love to hear from them. We’re looking for writers who have a passion for romance! 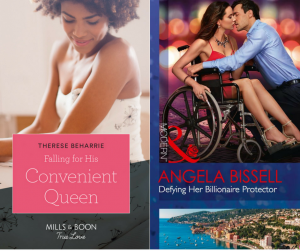 Writing for Mills & Boon is a singular experience, so we would suggest that they take the time to research the different series within the brand and discover which might be best for them. A great place to start is our author guidelines. For the #RomanceIncludesYou initiative, all you need to do is submit the first chapter of your novel (it doesn’t have to be finished!) and a synopsis by 2nd September, and we promise to give editorial feedback by 1st October. If you are submitting to Harlequin Dare or Heartwarming, click here. If you are submitting to Harlequin Historical, Presents, Medical or Romance, click here. If you are submitting to Harlequin Desire, Intrigue, Love Inspired, Love Inspired Suspense, Romantic Suspense and Special Edition, click here. This is just the start of our ongoing commitment to make sure that #RomanceIncludesYou at Harlequin. Our editors are also only ever a tweet away, so if you have more questions, get in touch – we would love to hear from you! What is your top advice for budding romance writers? Strongly consider the hooks in your story – what is going to reach out and grab an editor, and therefore grab your reader too? Do your research so that you can see the types of themes that really resonate with Mills & Boon readers in particular, if you plan to submit your story to us. There are classic ideas that you can see are popular simply by taking a look at the themes that come through in the titles of our books, so that might be a good place to start! But also consider what are popular tropes in romantic fiction across the board. Also, I’d advise focusing your story ideas around not just the couple, but the conflicts that they may face – what the emotional issues may be that could keep them apart, as well as the stunning chemistry that brings them together! But also, ensure that it’s clear why this couple are falling in love. If the reader can’t see why on the page, they’re less likely to want to go on that journey with your characters. And in your first chapter, make sure it comes across as a tease or taster of what to expect across the whole story – plant all the necessary seeds and make the reader want to know how they’re going to grow. It’s your one shot to show us why we should want to read on!